We tested this product at the Shire London. The game tracking revolution is in full flow. No longer do tags in grips elicit questioning from playing partners, at least not in the line of ‘what is that?’, rather ‘which system are you using?’. 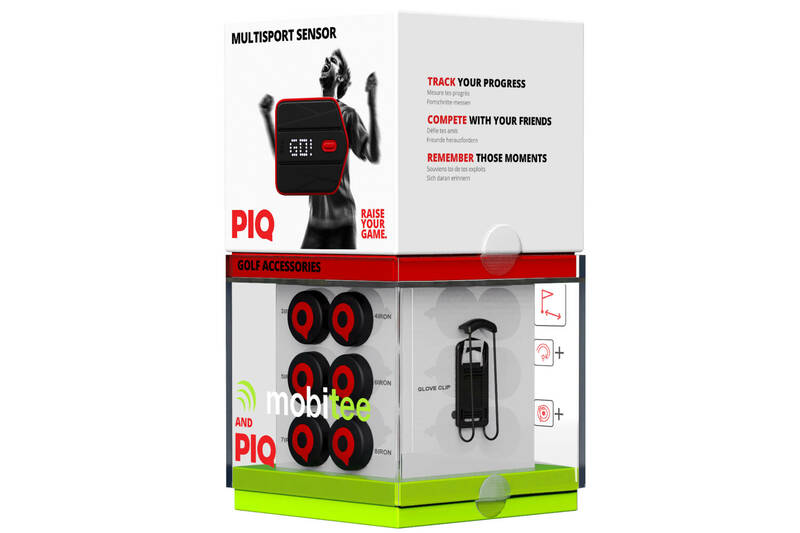 A multitude of products are now available, most of which use the tag and mobile phone connection, with Mobitee and PIQ being no different. Although it is a bit different. Because it's really a two-in-one product, a dyamic duo of GPS and tracking system. What is Mobitee and PIQ? The device offers both yardages and shot data when on the course, and real-time feedback on your swing. Tags are put into grips, a device is placed on the golf glove, and a free app needs to be downloaded. Combining a tracking system and a device offering feedback on your swing is clever. When you stripe one you can look at the app, inspect your rotation, tempo and plane, and then react accordingly - the same can be said with your duff shots. The accuracy is pretty good, and it’s easy to get going at the start of a round. A device is worn on the glove, which didn’t cause us any issues during our swing. Players glance at their glove to see yardages, which means you don’t have to keep getting your phone out on every shot. A sizeable negative is that you have to tag your club on each shot - this will put some golfers off straight off the bat. It’s another thing to remember while playing - some swingers build the tag into their routine and don’t have an issue with it, but that’s not every golfer's cup of tea. Looking over your numbers on the app, players will enjoy easily digestible data, which highlights the areas that need to be worked on. The only product we know of that merges a GPS device and performance tracking - and it does the job well. Distances were fairly accurate when compared to a rangefinder, and so was the performance data. Looking at your statistics, golfers can clearly see where they need to work on their game, and these numbers suggest where the issues are stemming from. Golfers do need to tag each shot on the course, which will put some off. The Cheltenham horses that EVERY golfer needs to back this week!